This entry was posted on January 6, 2014 by Sports Traveler. Hello sports fans and welcome to the first blog of 2014! 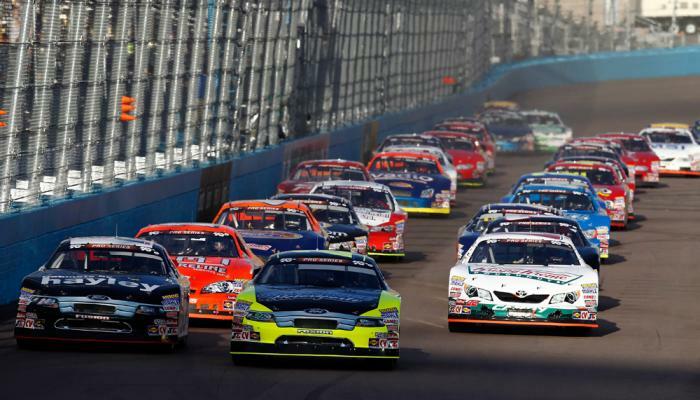 This installment will feature the 2014 NASCAR Sprint Cup schedule and a preview to the upcoming race campaign. Please note that there are a few changes from last season. I will specifically address each change to the schedule at the bottom of the 2014 NASCAR Spring Cup schedule that you see listed below. The 2014 schedule remains the same through the first seven races. The first change you will notice on the schedule is the new slot for Darlington. In 2013 the Kansas spring race followed the spring race at Texas Motor Speedway. In 2014 the Southern 500 at Darlington will now follow the Texas race in April. The Kansas race and Darlington basically swap spots and Kansas will move back a couple weeks. Remeber how I said there were a few changes? Well those were it. So not much change in 2014 to the NASCAR Sprint Cup schedule. It seems like NASCAR is constantly trying to change things so its nice to see things stay the same for the most part. Every year it seems there is a new tire, new points system, new schedule, or an entirely new race car! The giant elephant in the middle of the room is trying to figure out just how many fights Kyle Busch is going to start this season. Ha, just kidding. In all reality we have a chance to witness history yet again. I don't think anyone, including Jimmie Johnson, would have told you that the #48 team would be sitting here today with six championships. Well, they have six. You will hear about the drive for 7 championships all year long. I never thought we would ever have this conversation again after Earnhardt. So I guess JJ deserves all the attention for his achievements. The only question that remains is will he tie The King and Dale, Sr? I think the answer is yes and don't be surprised if he makes it 8 or 9 with an outside chance at 10. Johnson could end up rewriting the history books and become unarguably the best driver to ever get behind the wheel. I think that all NASCAR fans should take the time to appreciate this upcoming season and what it represents. We could be watching one of the most dominant athletes of his generation and possibly others. Who will stand in his way? Here are the drivers who have the best chance to unseat Johnson as the reigning champ. I think these are the five best contenders in order of chance to succeed. Be on the lookout for Carl Edwards. He is coming off some hard times but he is still one of the best drivers out there. And don't forget about Tony Stewart. A bad accident kept him off the track for a good portion of 2013. He will be the most poised to make a run at Jimmie this year.